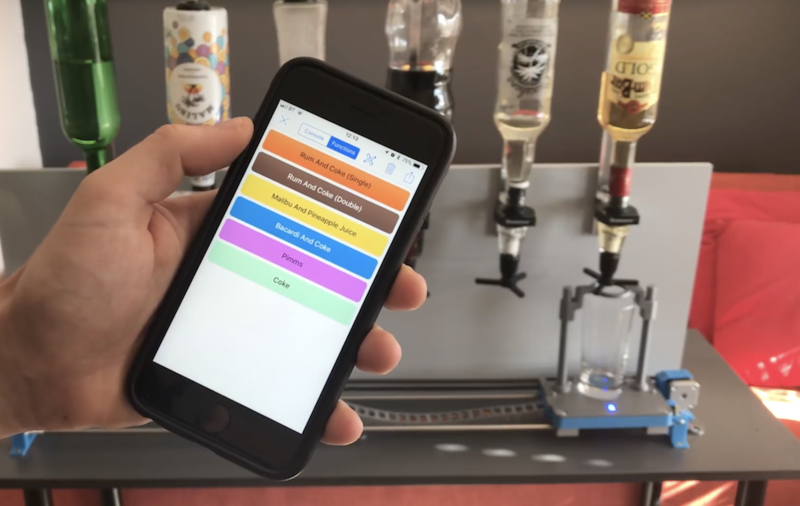 We’ve seen different versions of robotic bartenders over the last few years, but this one by DIY Machines looks quite clean, and because of its battery-powered operation can be taken anywhere. The device works like a simple CNC machine, using a stepper and pulley setup to transport a glass between one of six upside down bottles. When it’s in the correct position, two more stepper motors push a lifting assembly into the selected bottle’s dispenser valve, emptying the correct amount of liquid into the glass. An Arduino Uno is used for control, with user interface provided via a Bluetooth module and smartphone app. More videos and build instructions can be found in the project’s write-up, while Arduino code is available here. Bluetooth Mesh Networking will usher in huge connected environments	Robust wheelchair model with treads!